Statutory Bursary – Students eligible for the Statutory Bursary will automatically receive a set payment every half term. Discretionary Bursary – Students will be requested to complete a Bursary Application form. Awards can be claimed up to a maximum of three times per college year (Autumn, Spring and Summer terms). If the criteria for either are met students are then required to complete the initial Application form (as below). 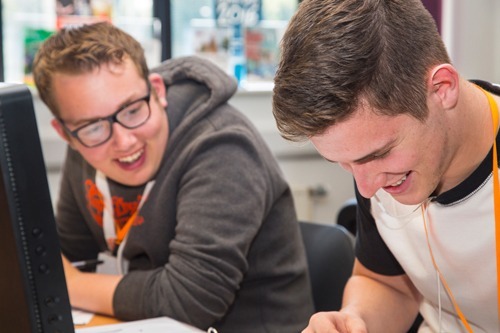 This should be completed and returned to Accord Sixth Form College and students will receive confirmation whether they are entitled to a Statutory Bursary Award or a Discretionary Award. Students eligible for the Statutory Bursary Award will automatically receive a set payment every half term. In the case of the Discretionary Award the student will be requested to complete a bursary claim form which will request the amount of the bursary needed and the reason for the request (e.g. for an educational visit, books, travel). All receipts and proof of purchase must be submitted with this form before the claim can be passed to the bursary panel for approval. Submissions need to be made at the beginning of the Autumn, Spring and Summer terms. Your household annual income is less than £22,000. You are in receipt of Free School Meals. Your parents currently claim Income Support, Working Tax Credit/Child Tax Credit or Employment Support Allowance (these benefits must not exceed an annual income of £22,000). You are currently facing financial barriers to staying on in education. These payments will be the decision of the Bursary Panel. If you require any more information regarding your eligibility for funds please get in touch with the college and we will be happy to help you.